In this week’s digital news roundup we’re covering YouTube’s new paid platforms, Facebook’s updated features, how people interact with news online, and the debate dividing the world – laurel or yanny? 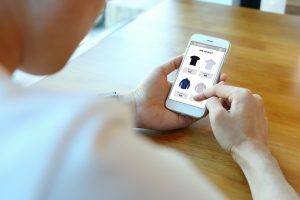 New research suggests that unhelpful websites lacking in product information could be costing businesses sales – with 49% of online buyers saying they’d spend larger amounts of money online if there was more information available on the products. Visuals also played a part, with 22% saying they’d like to see better use of images showing products in-situ, while 17% would like to see 3D representations. 26% of consumers think that the quality of product photography is extremely important – giving this feature an importance rating of 10 out of 10. 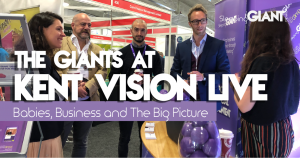 This highlights how vital it is for businesses to invest in their digital presence if they intend on selling products online – or face dwindling customer confidence and minimal sales. Check out the full story on Net Imperative. 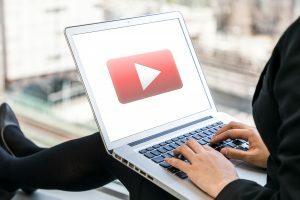 Google is adding to its series of recent announcements with updates to the YouTube platform, breaking YouTube Red up into two new services – YouTube Premium, and YouTube Music. Facing up to Spotify and the other major music-streaming players, YouTube Music will give people access to tons of top tunes, as well as “related playlists, remixes, covers, live versions, and of course, music videos”. Supposedly, thanks to Google’s AI know-how, you’ll also be able to discover songs based on searching lyrics, or brief descriptions like “that hipster song with the whistling”. The second part of the announcement comes in the form of YouTube Premium, giving you access to YouTube Music as well as YouTube Originals video content. As the rebranded name for YouTube Red, Premium means “you’ll be free of ads, able to play videos in the background, or download them for offline playback”. Countries with Red already available, like the USA, Australia and Mexico will get Premium ‘soon’, while the new rollout will also appear in additional countries, including the UK, France and Spain. YouTube Premium will come in at $11.99 per month, while YouTube Music will either be free with ads or cost $9.99 per month ad free. Will you be investing? After a temperamental 2018, Facebook is looking to put its troubles in the past and move forward – launching three new updates that the platform says will help its users “better create and save memories”. The changes, which are set to appear for global users “shortly”, include the ability to share voice messages, archive your favourite Facebook Stories, and save photos and videos directly to your account in the Facebook cloud. Apparently, this is designed to help users who have to delete a photo before being able to take a new one to share. Although we’re not entirely sure how the new audio post option in the camera is set to help people. I asked our social hero Ben Hawkes for his thoughts on the new features. “These changes seem geared to capturing younger demographics and keep them on the profile. Whilst they fix some basic usability issues and provide some nice features for users who regularly use Stories and the Facebook Camera, the update probably isn’t enough to excite users about the platform if they weren’t already,” he said. Thomas Ricker, writer at The Verge, had some semi-scathing comments on the updates: “Zuck and Co will take as many audio files, photos, and videos from as many people as they can get in order to extract even greater profit off your finely-tuned interests. Just sayin’.” Ouch. ‘Laurel’ or ‘Yanny’: which side are you on? If you remember the dress debate that divided the internet a little while ago, then you probably understand how enraged people can get when they feel like they’re being tricked – or when they’re defending their views. Well, a debate is raging once again, thanks to a seemingly innocent audio clip that’s dividing the nation based on who can hear what. According to Fox News, it all started with a student in the US searching for word definitions on Vocabulary.com. When she played the pronunciation recording for ‘laurel’, she thought she was actually hearing “yanny”. And that was just the beginning. Before long it was all over Reddit, before spreading to Twitter. Now, it’s spread to GIANT towers. As the GDPR deadline looms it seems like no company is escaping the threat of fines, with Snapchat now jumping on board and giving users more control over their data in order to stay compliant. As well as these opt-out options, users can also wipe their search history and location data, as well as request a dump of their own data – similar to on Facebook. 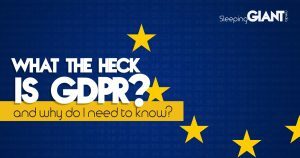 Snapchat has always been minimal regarding the data it stores, boasting a lower retention period than Facebook – meaning that the company hasn’t had to change its policy or ask for users to complete new permissions forms in order to comply with GDPR. Age of users could prove to be a blocker, however, with some advertisers like Captain Morgan already pausing ad spend on Snapchat due to concerns that the platform isn’t doing enough to verify the age of its users. This issue is seen across all social networks, however, with there being no real way to ensure that under-16s aren’t able to access the platforms. We will have to wait and see whether more advertisers start to pull spend. It appears that fears of ‘fake news’ is affecting the way that people interact with info online, with 26% of users now believing that news shared via social media is fake. The research found that many consumers around the globe read the news between one and five times a day, with Brits reportedly opting for reading papers in the morning, before tuning into TV news at night. In the UK, men were found to be bigger news fans than women, checking it 29 times per week on average, compared to 21 times for women. The study found that 51% of Brits prefer to read their news on a mobile device. Online also emerged as one of the most engaging ways to interact with news, with 60% of global respondents saying they pay strong attention to online news, compared to 52% who say that for TV news. Where do you go to check out the latest news? And is fake news on your mind when you’re browsing online? Personally, I stick to news apps like BBC News and Sky News if I want info, and take news posts on social media with a pinch of salt unless I corroborate them elsewhere. 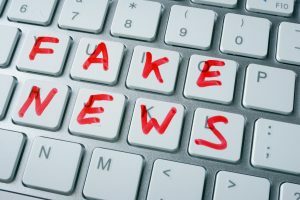 Last year we published a blog around seeing through fake news – check it out and let us know your thoughts on how we can verify news online. Find the rest of the stats on Mobile Marketing.